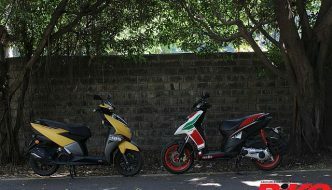 ‘Rather curiously, the name on its petrol tank is not Ducati but Scrambler. 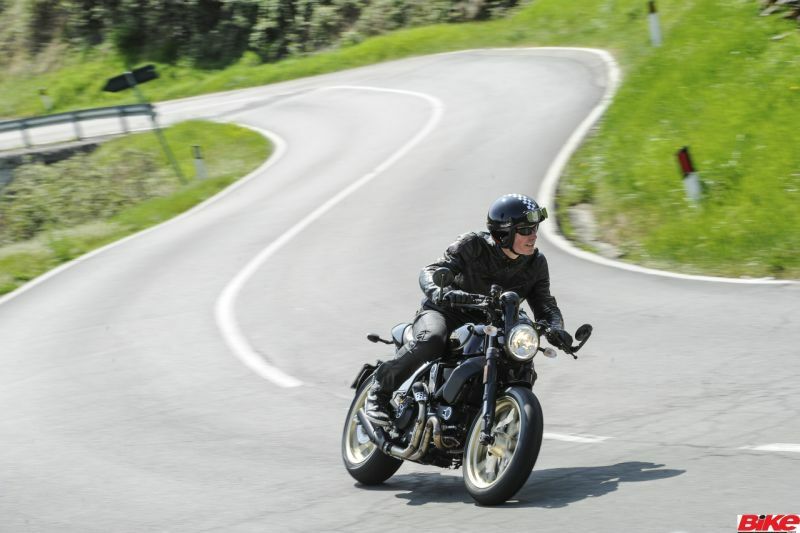 That’s because despite its deliberate resemblance to one of the great Ducati models, the Café Racer is being introduced as a member of the Scrambler sub-brand of entry-level V-twins.’ We just came back from a first ride in the Apennine Mountains. It’s no wonder the lean black-and-gold V-twin is carving up the SS65 with the pace and composure of a bike that has been this way many times before. This ribbon of tarmac south of Bologna leads over the Apennine Mountains to Mugello by way of the famed Futa Pass. Ducati’s test riders have been developing bikes on the Futa road for decades, right back to the late 1970s, when the firm’s black-and-gold 900 Super Sport was among the fastest and best superbikes on the planet. Now I’m back here for the launch of a Bologna-built bike inspired by that bevel-drive V-twin. Rather curiously, the name on its petrol tank is not Ducati but Scrambler. 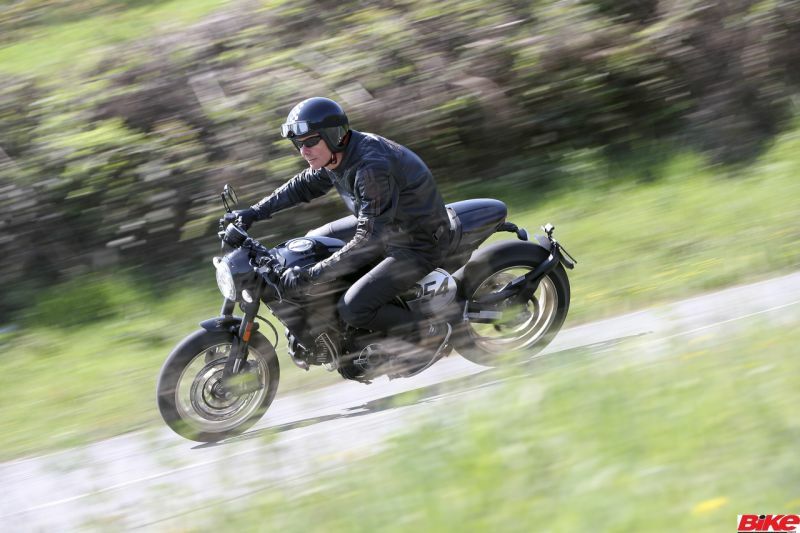 That’s because despite its deliberate resemblance to one of the great Ducati models, the Café Racer is being introduced as a member of the Scrambler sub-brand of entry-level V-twins. 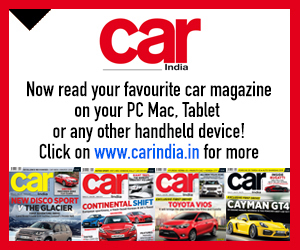 Along with the recently launched, off-road styled Desert Sled, it is intended to broaden the Scrambler family. The tank badge might say Scrambler but the Café Racer’s look is all Ducati. The high, wide one-piece handlebar that characterises the original Scrambler models is replaced by a pair of clip-ons, fitted with bar-end mirrors to accentuate the nose-down image. The headlamp is also shifted downwards, and surrounded by a black-finished nacelle. 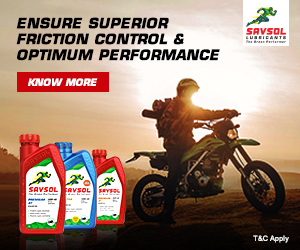 The engine is essentially the same 803-cc, air-cooled V-twin fitted to the other Scrambler models, complete with unchanged power delivery to a maximum of 75 PS at 8,250 rpm. But the SOHC, two-valve desmo unit is also finished in black, and breathes out through a new exhaust system that ends with twin Termignoni cans on the right side. Chassis layout follows the Scrambler format of tubular steel frame with diagonally mounted single shock on the right, working a curved, twin-sided swingarm. But a longer shock raises the rear end and steepens steering geometry, reducing rake and trail to a racy 21.8 degrees and 93.9 mm (from 24 degrees and 111.9 mm). Other chassis parts follow the sportier theme: slightly stiffer suspension at both ends, and cast 17-inch wheels wearing Pirelli’s Diablo Rosso II street rubber. 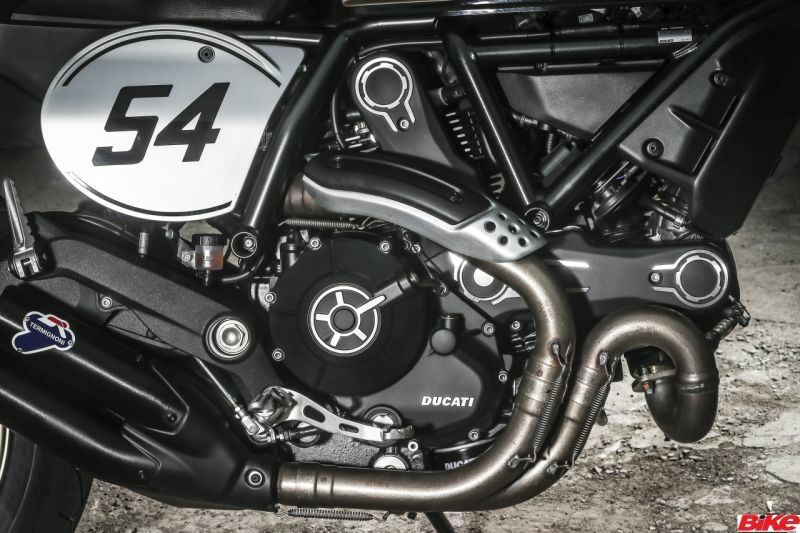 But the Café Racer retains a generous 150 mm of wheel travel at each end, and its only option for adjustment comes from the shock’s preload collar. 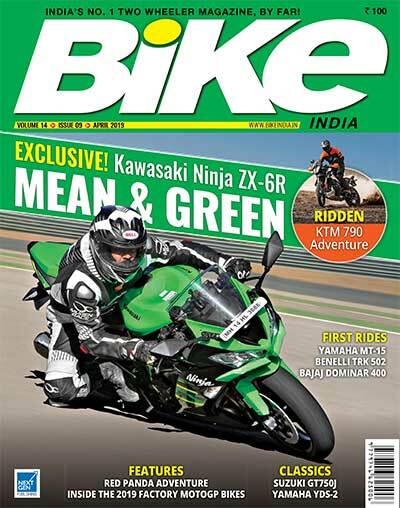 There’s neat stuff elsewhere, from the minimalist front mudguard to the humped, café racer-style seat with its colour-matched pillion seat-cover. 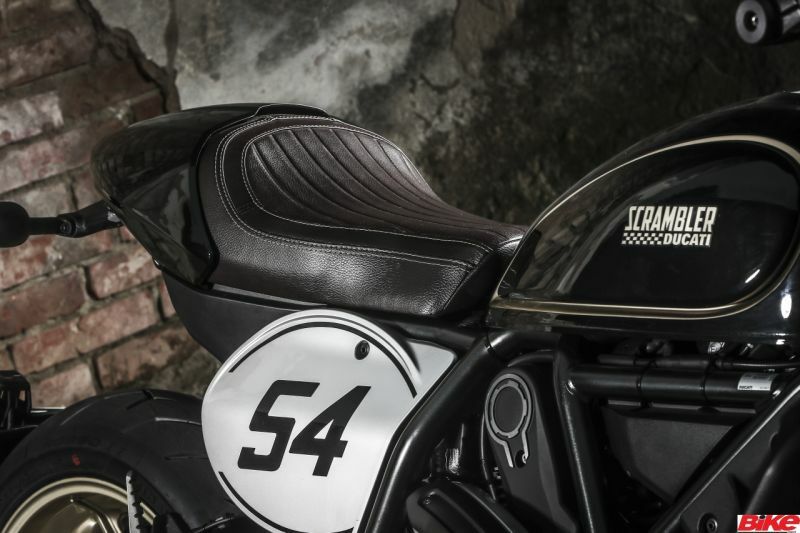 The race-style oval side-panel carries the number 54 in tribute to former works rider Bruno Spaggiari, winner of many races but arguably best known for being narrowly beaten by his team-mate, Paul Smart, in the famous Imola 200 in 1972. Despite the lean black Café Racer’s clip-on bars and race plates, it doesn’t feel much like an uncompromising street racer when you throw a leg over the ribbed seat. Those clip-ons aren’t radically low, but rise up above the top yoke, with its neat Scrambler logo, to a height that puts them within reach without need for a racy crouch.